U.S. Sen. Tammy Duckworth, D-Illinois, speaks to reporters Monday about health care legislation following a tour of Chestnut Health Systems in Granite City. 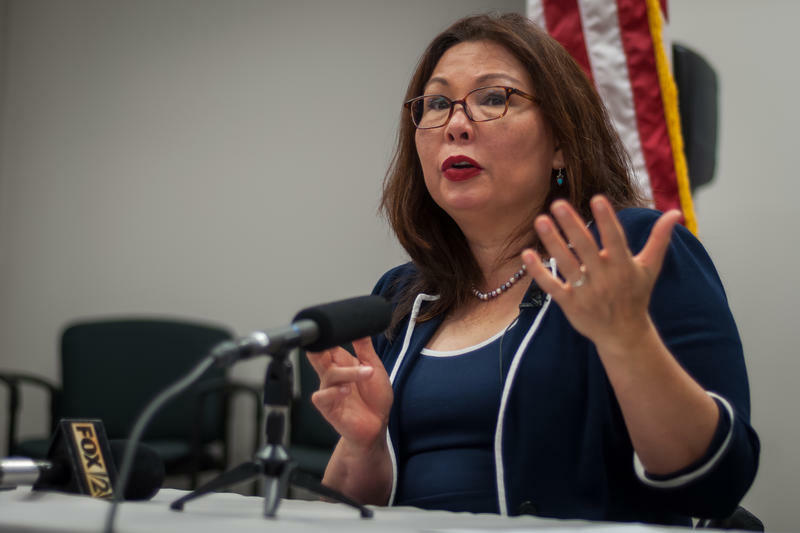 Duckworth cited the rising cost of Naloxone, a popular opioid overdose reversal drug that has increased in price to $4,500 from about $700 per pack. That has made the treatment “out of touch and unaffordable for so many programs,” she said. To address rising costs, she said, Congress should give the government-run Medicaid program the ability to negotiate drug prices. But the Republican health care bill in the Senate would dramatically reduce federal funding for Medicaid. The bill would leave 22 million more people uninsured by 2026, according to a recent estimate by the Congressional Budget Office. Duckworth, a freshman Democrat from Illinois, opposes the Republicans health care overhaul, which she also criticized for providing tax breaks to pharmaceutical companies. Divided over how to proceed on the bill, Republicans are short of the votes needed to pass it. That could present Democrats with an opportunity to work with moderate Republicans on a more palatable alternative, Duckworth said. “But we can’t even talk about the fixes that we want to work on and the things that we can do to fix it and maintain the health care for Americans because we’re stuck in this cycle of trying to repeal the [Affordable Care Act],” she said. The Senate is returning to session on Monday, leaving three weeks until its August recess. Private health care talks have been underway in the Senate for weeks. McConnell tapped a 13-member working group last month to hash out senators' differences over the House-passed American Health Care Act. 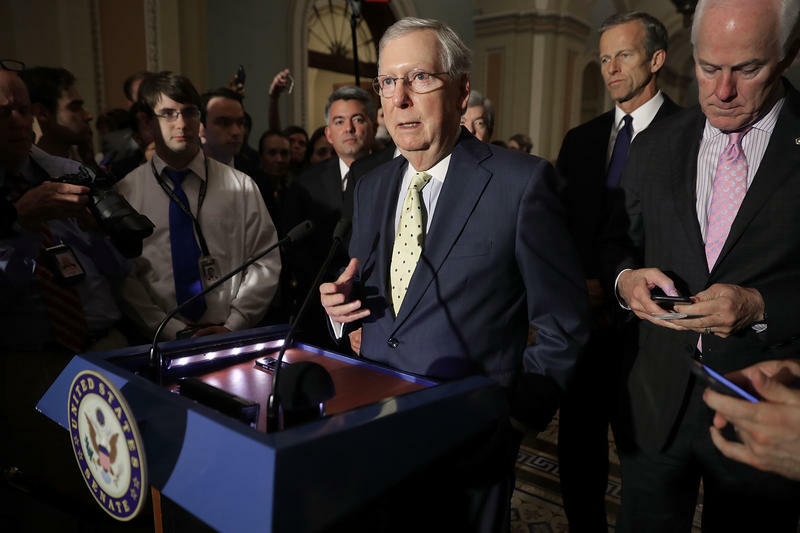 McConnell's office has since taken the lead drafting the Senate version of the party's long-promised legislation to dismantle the Affordable Care Act.